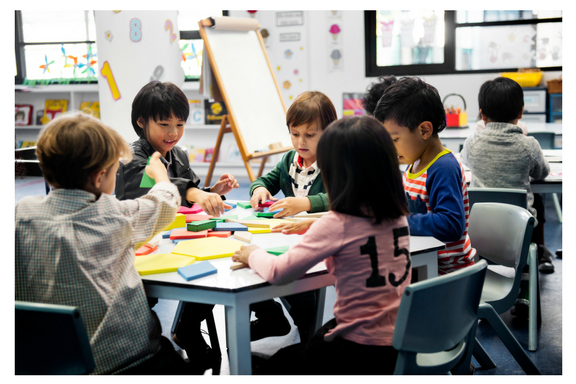 In our recent posts, we provided some of the best questions to ask during a daycare tour. These questions are a great way to get a sense of whether or not a daycare or preschool in Kenosha are right for your children. Today, we want to offer some visible warning signs you might encounter during a daycare tour or interview that could indicate a child care facility isn’t a good fit for your family. Scan the rooms throughout the daycare to see how clean each room is. In particular, pay attention to the food preparation areas and anywhere food is served. If there is clutter everywhere as well as spills and crumbs from food and milk throughout the daycare, it could indicate that the preschool doesn’t maintain a clean environment for children during the day. Look closely at the faces of the children and students in attendance. Do the children seem happy and engaged? If the children appear bored or discontent it could be that the curriculum and the routine of the daycare are not beneficial to children or entertaining or educational. You want your children to spend their day somewhere that will foster their growth and development. How many children are in attendance during the time of the tour? The important thing to be aware of is the child-to-caregiver ratio. Are there too many children in the preschool or child care facility and not enough staff? Is the staff overwhelmed and unable to provide the proper amount of attention to each child? You do not want your child to be ignored or not receive the necessary care during the day. What are the security measures in place at the daycare? Are the front doors locked or is the entryway to the main care area locked or unreachable by outsiders? In today’s day and age, security is of the utmost important and you need to ensure the daycare you choose has all of the necessary protocol and measures in place for your child. You can search the daycare’s website or social media profiles online and see if there is a high number of negative reviews or very few positive reviews. Online reviews are becoming a reliable source of information concerning whether a business or child care service offers good quality or not. You should request the daycare’s license number during the tour. If the daycare is unable to provide a license number, you should not enroll your child there. Legally, all daycares in Kenosha are required to be licensed and if this facility is not it is a good sign that all the proper measures and necessities aren’t in place to manage a successful child care operation. Cornerstone Academy offers a licensed preschool and child care center to promote education and growth in young children in our community. Learn more about our enrollment opportunities and contact us online with questions or call (262) 552-5368.